2,547 products work with the Qi standard for wireless charging, according to the Wireless Power Consortium. Not familiar with wireless charging yet? Qi and other methods promise to cut the power cord and deliver power without a galvanic or metallic contact between a base and a device. Although, generally limited to less than one cm of separation, this power delivery technique offers many benefits. Its safety, security and reliability enable end devices to be fully enclosed without exposing any metallic leads necessary for charging a device’s internal battery. Although the Qi standard is currently defined up to 15Watts, many systems exist that readily deliver 20W to 100W of power with transfer efficiencies of greater than 80 percent. So what are the top uses for this technology? There is no question that the leading wireless charging application is the smart phone. 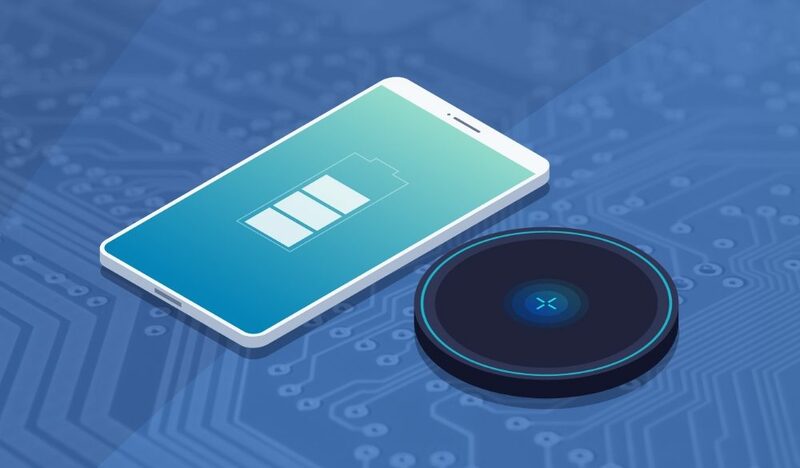 Nearly half a billion wireless charging enabled devices shipped in 2017 and most of those were mobile phone handsets and charging bases, according to IHS Markit. Every major phone brand now offers a model with wireless charging built in, and this trend will not stop. As the technology becomes ubiquitous and cost effective, higher penetration is expected. Why? Mobile phones lie in the sweet spot of power delivery requirements for wireless charging. 10 to 15W can quickly and easily charge a phone and exceed many wired USB charges. At these power levels, temperature rise due to self-heating are manageable which makes wireless charging easy to deploy in a handset. Add an increased consumer awareness and you get a perfect storm for this emerging market. The center console in modern vehicles does more than ever before. Not long ago, most cars came equipped with only a single cigarette lighter adapter. The mobile phone changed everything. Charging systems in the automobile had to upgrade as a result. Today, most cars are equipped with multiple USB ports that deliver power in the range of five to 10W. This is an ideal range for today’s wireless charging standards. However, don’t think this technology will stop there. Many vehicles will be using wireless charging for their main battery systems requiring over 1kW of power delivery. Have you seen how small some of these devices are? Is there any real estate left for any kind of power connector? Today’s wireless charging technology can be integrated within low profile and space-constrained designs. Tiny coils and ultra-efficient switch mode charges deliver small size with an extended battery life and fast charge times. Another factor: convenience. Simply lay them on top of a charging pad at the end of the day or throw them into a bowl. No need to locate the tiny charging port. Lastly, wearables get wet, dirty and abused. Fully enclosed charging avoids the reliability concerns associated with power ports and plugs. As interoperability of Qi and other standards expands, wireless charging enabled wearables will only become more popular. We are talking about small appliances from cups and mugs to dental care. The original application for wireless charging is the electric toothbrush and these applications are expected to grow to 100 million shipments per year by 2026. Why? Again, the fully enclosed device easily handles water, moisture and any kind of dirt. Also, it is electrically isolated. Look for wireless charging to take over small and handheld appliances in the coming years. One wonders how Tim Allen’s “Home Improvement” character would soup up a wireless charging enabled power drill—100W. As wireless charging delivers more power, the range of applications inevitably grows. Fully enclosed power tools with enhanced safety, durability and convenience are around the corner. Pick it up off the base, drill your hole and put it back on the base with a single hand. What’s not to like about that? Although most wireless charging today is sensitive to placement and position, landing on a charging pad is easier than landing on a power plug. Refueling in mid-air is best left to the top guns. Few drones and robots could execute on that. As resonant charging technology increases, look for your drones and robots to adopt this technology.